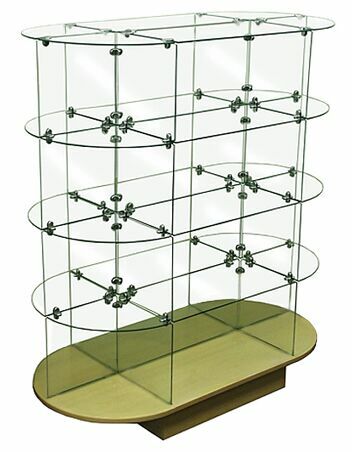 4-tiered glass display is 54"tall, designed with 3/16" thick tempered glass 12" deep shelves, chrome connectors, 54"L x 30"D x 6"H maple base included. 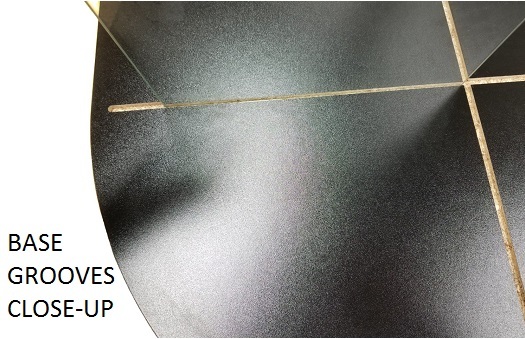 Ships knockdown ready to assemble. Base Color: maple.